Like many other regional leaders, Recep Tayyip Erdogan and Mohamed Morsi are biding their time, waiting on news of Barack Obama’s most likely re-election. The Turkish premier and Egyptian president realize that before the United States president wins a second term on November 6, he won’t let any foreign policy issue interfere with his reelection campaign. “Unfortunately for Obama, and tragically for the people in Syria, history has brought the American presidential campaign and the Syrian revolution to the same pages of the calendar. That means Obama will do whatever he can, for as long as he can, to keep the carnage in Syria from interfering with his reelection plan. “The Obama administration has put other major foreign policy issues on the back burner in order to avoid giving Republicans fodder for criticism, to prevent new risks to the economy, or simply to avoid stepping on a landmine while moving along a dangerous global landscape. Turkish columnist Gökhan Bacik, writing for Today’s Zaman, says some six weeks before the U.S. presidential elections “Middle East politics has fallen perfectly silent.” It’s the sort of quiet you would expect in a waiting room. Erdogan, he says, wants to retrace five issues with a reelected Obama: Syria, Turkish-Israeli relations, the Kurdistan Workers Party (PKK), Islamism in the region, and Iraq’s Nouri al-Maliki. 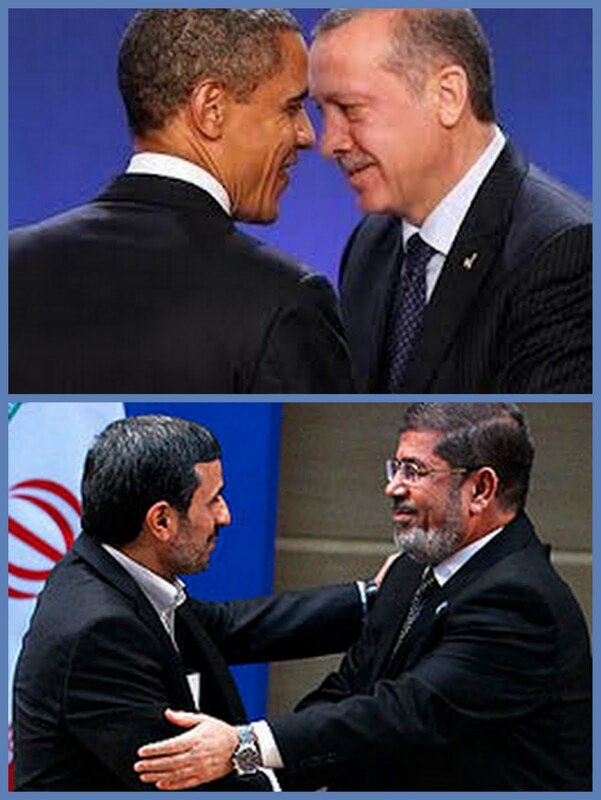 While it seems fair to say no world leader has a greater stake in Obama’s reelection than the Turkish prime minister, can the same be said of Egypt’s Islamist president? Leading Lebanese political analyst Sarkis Naoum, writing for Beirut’s independent daily an-Nahar, detects signs of a disconnect developing between Obama and Egypt’s Islamist President Morsi. Asked if he considered Egypt an ally of the United States, Obama balked earlier this month. “You know, I don’t think that we would consider them an ally but we don’t consider them an enemy,” he said in an interview after protests outside the American Embassy in Cairo. The State Department later reaffirmed somewhat awkwardly that Egypt is an ally. Egypt was designated by Congress in 1989 to be a Major Non-NATO ally along with Australia, Israel, Japan, the Republic of Korea, and New Zealand. Among such steps, says Naoum, “were his visits, first to China and then Iran, and his participation in the Non-Aligned Movement conference in Tehran… when the U.S. is on a sharp collision course with the Islamic Republic” over its nuclear ambitions. “But before taking such a step, Morsi has to take the following into account: (1) Iran won’t be feeding his country’s poor, or about 20-to-30 percent of his people, now living on average per capita income of two U.S. dollars per day (2) Iran won’t return tourism to Egypt (3) Iran won’t solve Egypt’s internal problem of sectarianism (4) Iran won’t settle mounting differences between Egypt’s moderate Islamist and Salafists (5) While Obama did not believe Egypt was an ally, Washington might end up designating it an enemy.